These small waterbirds (19-23 cm) are usually found along the edges of reedy lakes and ponds throughout much of Australia from southern Queensland through to SA with another population in WA. They can be shy and are generally only seen when the water level recedes from the reeds, leaving bare mud between cover and the water. 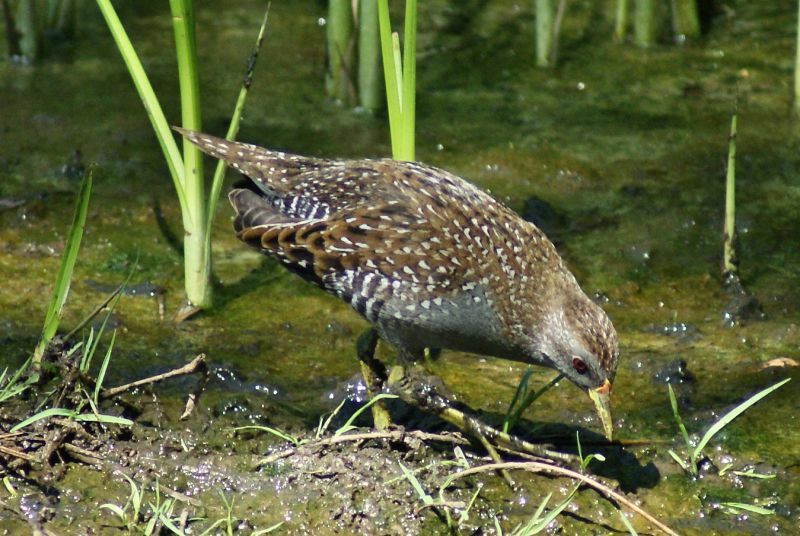 They are similar to Baillon's Crake, which is smaller and browner and can often be found in the same area. Their diet is mainly invertebrates. 1: Laratinga Wetlands, Mt Barker, SA, 26/01/2012.